When I started blogging in 2007, Typepad was the shizz. Blogger was for hobbyists, Typepad was for professionals and the jury was still out on WordPress. Over time, that’s changed so that Typepad seems to be stagnant to the point of being virtually obsolete and WordPress is where it’s at. Blogger’s reputation has improved, but WordPress is generally regarded as a more professional choice. Ultimately it’s a matter of personal preference between those two. Just over a month ago, I decided to jump ship from Typepad and move my blog to a new address and design in the process. I’m an introvert who doesn’t do change well or lightly, so as you can imagine this was a BIG DEAL. You lucky thing, you only have to change the back end and everything else can stay the same. Why didn’t I think of that? Changing URL is basically like moving house, and whilst you may be taking the furniture you’re not taking absolutely everything with you. You will have to take a hit with your DA and links, but there’s something very refreshing about starting with a clean slate. Some brands may be put off by your lack of DA, but not all will. You may be starting afresh but you’re not a total newbie. As much as possible I have asked other people that linked to the old site, especially where I was still getting traffic from their old link, to change to the new one. Some people have done this no problem, others haven’t replied. You can only do so much I guess. Don’t assume that absolutely everything has to move. 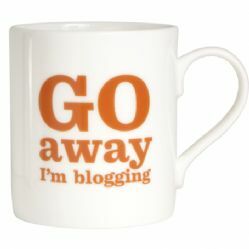 If you’ve been blogging for a while then some posts will be out of date or just not worth keeping. Keep anything that still gets traffic, but don’t be afraid to dump posts that are past their sell by date. Also check and fix broken links – the Broken Link Checker WordPress plug in is very handy, or you can run your URL through BrokenLinkCheck. This took seconds and was surprisingly easy. Phew. This was slightly hairier to achieve, but I got there in the end and all the imported posts have kept their Disqus comments. Phew again. I paid for a service called TP2WP which was $49 or just over £30, and that moved my content easily in under an hour. I left a message on the old blog saying they could catch me over here if they wanted to. My Twitter and Facebook page are still the same so they can find me easily enough. Traffic-wise, May (on this new URL) was around 60% of what it would normally be, so not every reader’s lost in the wilderness. Though the words moved pretty seamlessly, my images were still hosted on Typepad. This is not what’s supposed to happen with TP2WP, but I couldn’t get it to play ball. So I had to go through 350 posts, save the images, upload them to WordPress, delete the original image and insert the WordPress version instead. This took hours, with the net result that everything looks the same, but if I hadn’t done it then all those images would’ve disappeared when I finally pull the plug on Typepad. Internal links are very important for a blog, but when they ported over they were still pointing to the original Typepad site. So that’s been another thing to amend when I was fixing the images. I’m not an especially technically minded person, but I do have an open mind and a willingness to learn. So I’m quite proud of the fact that I was able to do all this myself.